Who is Jesus? Why did he come? What does it mean to follow him? We will answer these questions by studying the life of Jesus in the Gospel of Mark on Sunday mornings. This study is perfect for a sincere seeker of spiritual truth or a skeptic who has real questions about the Christian faith. It is also a perfect opportunity for a seasoned saint to bring along a nonbelieving friend. 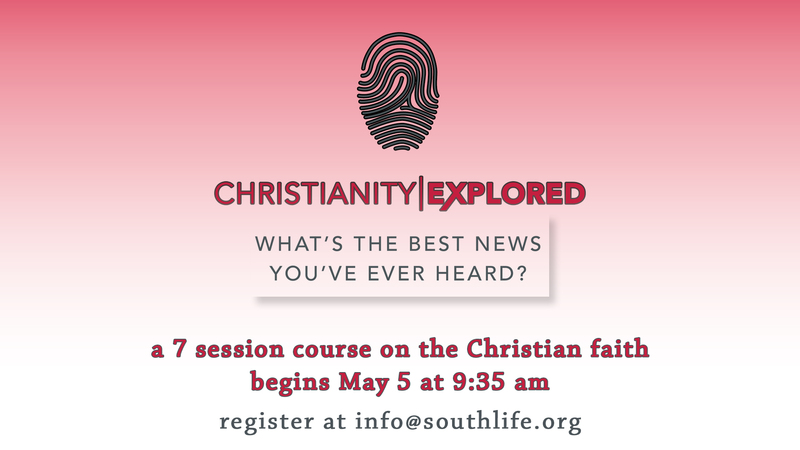 Join Pastor Joel and Pastor Tim for this course beginning Sunday, May 5 from 9:35-11:05 AM in the Room 119. If the above form isn’t working, click here to enroll.